A combination of botanical extracts, Curcumin Extract, Gluthionine, Bromlain, Manganese and Black Pepper Extract. Each active ingredient has been sustainably harvested and our manufacturing process ensures each ingredient retains its full nutrient potential providing high quality and optimum benefits. Curcumin is the active compound found in turmeric root. It has long been used as treatment in traditional Chinese medicines but to get the full benefits of curcumin it must come with the right support ingredients. 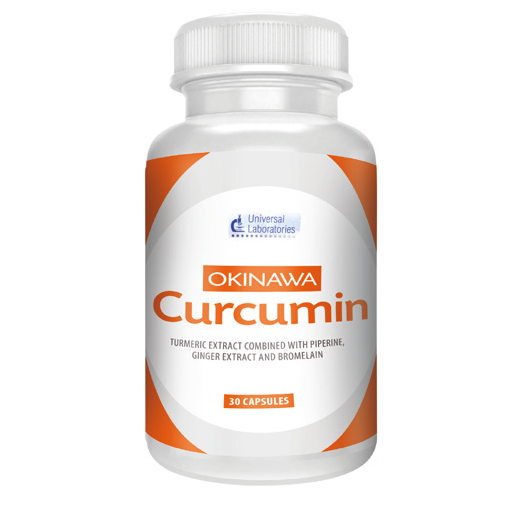 Curcumin alone is poorly absorbed by the body so in order to optimise the benefits of daily curcuma consumption on health, we have combined Curcuma extract titrated at 95% curcumin (the maximum amount possible) and two other families of active ingredients - Ginger Extract revitalises, stimulates and fortifies the body, Dry extracts of black pepper (piperine) and pineapple (bromelain) which can multiply the rate of absorption of curcumin. Curcumin Extract, Capsule Shell: Gelatin, Ginger Extract, Microcrystalline Cellulose, Gluthionine, Bromelain, Black Pepper Extract, Chelated Manganese Glycinate, Talc, Magnesium Stearate, Silicon Dioxide.